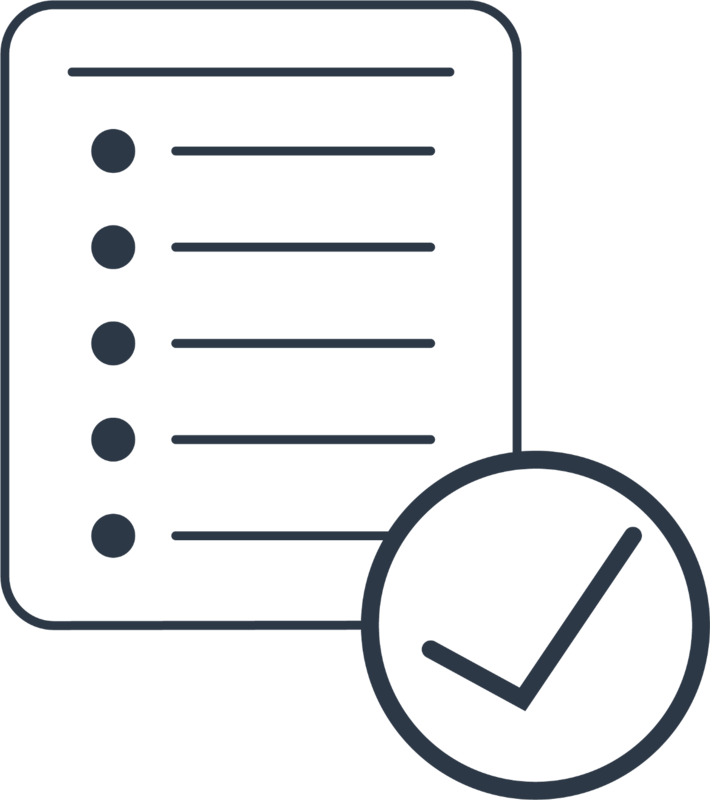 Note: if you contributed to our sale through Ethfinex Dusk tokens will be credited to your Ethfinex exchange wallets on a monthly basis. Read more. We have leveraged MyEtherWallet (MEW) technology to provide a simple and intuitive way to get hold of your DUSK. This whole process will not require any in-depth tech knowledge to make the magic happen! 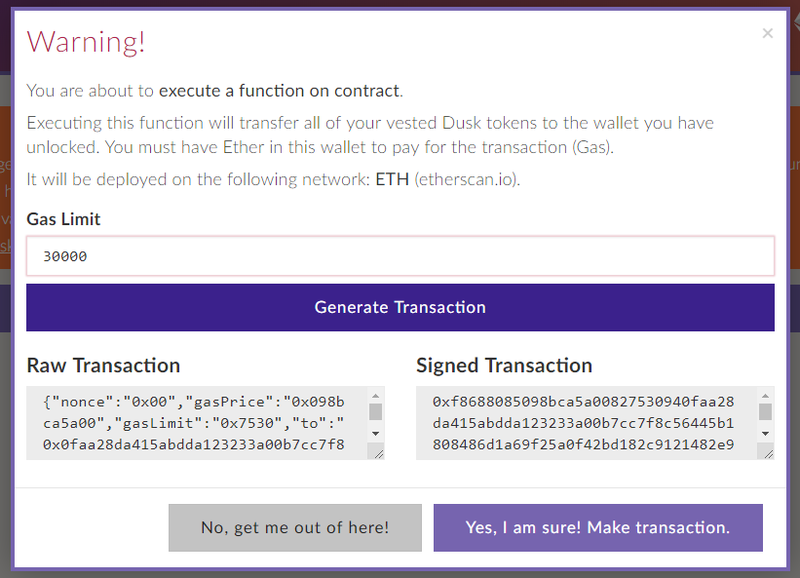 When using the contract it will automatically transfer all your available (unlocked) DUSK from the vesting contract to your whitelisted wallet. Select your favorite means to access your (whitelisted) wallet and Log In. 2. After accessing your wallet press ‘Call’. A pop-up message will appear. Enter the preferred Gas Limit and press ‘Generate Transaction’. Note about Gas: If too much gas is provided, the excess gas is converted to ether and refunded. If too little gas is specified, the gas is forfeited like the transaction never occurred. In our example MEW recommends 300 000. We suggest to go with that suggestion. Pop-up message after clicking ‘Call’. Another pop-up will appear where you only have to click ‘Yes, I am sure! Make the transaction’. Note 1: If the transaction doesn’t go through, please confirm you have sufficient Ethereum in the wallet to pay for the gas fee. Note 2: Due to our integration with MEW the notification box may not close after clicking ‘Yes, I am sure! Make transaction.’. If this bug occurs, please confirm at any Ethereum blockexplorer whether a transaction is ongoing. If yes, you are all set. If no, press again or contact us (see details below). Pop-up message after ‘Generate Transaction’. Congratulations, it’s as simple as that, you are all done! If any issues arise, feel free to contact mels@dusk.network. Mels will respond within 24h. We have created a manual calculator to enable you to calculate how many Dusk Tokens are still available to be called at any point in time. HERE.